Phenelle Segal, RN, CIC, an infection prevention and control consultant who is well-known in the ambulatory surgery center (ASC) industry, presented to a standing-room-only crowd at the Ambulatory Surgery Center Association 2015 conference in Orlando. Her presentation was titled "Infection Control: Confronting New and Existing Challenges During Surveys and Daily Practice." Phenelle highlighted the need for ASCs to ensure their infection control or infection prevention programs are written specifically as is required by regulatory and accreditation agencies. This includes the Centers for Medicare & Medicaid (CMS) infection control requirements. 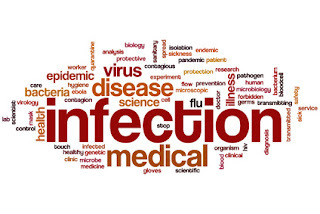 Meeting infection control standards identified by The Joint Commission and other agencies such as AAAHC, HFAP and AAAASF are very important when developing an infection control plan and/or program. Phenelle spoke about her observations when conducting on-site visits to facilities and discussed deficiencies that are still at the forefront of surveys by CMS, The Joint Commission and AAAHC. She also noted that when ASCs receive survey deficiencies, it is imperative that the plan of correction (POC) be written to reflect specifically what the facilities are able to do to remediate issues. Phenelle also generously shared several resources for infection control compliance monitoring with audience members. She has decided to share these resources with anyone interested in receiving them. To request them, contact Infection Control Consulting Services by emailing info@iccs-home.com or clicking here.